The automotive equivalent of living fossils. Motor manufacturers stick to fairly rigid life cycles as far as their models go, with vehicles usually getting a mid-life refresh 2-3 years after launch, and a new model coming along 5-7 years down the line. But sometimes manufacturers let things slip by the wayside, leaving models to age and fossilize well beyond the standard industry shelf life. We’ve scanned the web pages of every manufacturer to find the ten oldest cars still currently on sale in the USDM – cars that might have been refreshed, but haven’t been replaced in far too long. So here they are; the ten oldest cars on sale in the US. 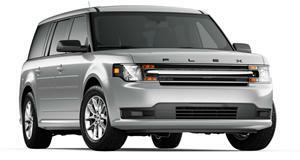 At number ten on our list, the Ford Flex makes a boxy appearance. The 7-seat SUV might be styled in a similar vein to many a current model in other vehicle segments, but it predates almost all of them. Based on Ford’s D4 platform, the Flex was actually the first D4-based Ford to see the light of day when it was introduced in 2008 to the world. Though in 2013 the Flex was given a major body update, it was just an extreme makeover – the underpinnings still remained largely the same as it was when released. If the Flex lives to see another generation, after a decade of current sales, it couldn’t be soon enough. 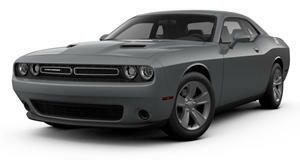 Compiling this list served to prove one thing – Dodge is in dire need of some new models. Every one of its vehicles is aging tremendously, and though in recent years the arrival of the Challenger Hellcat and Challenger Demon have injected some adrenaline into the muscle car, you might be surprised that since the Challenger was released in 2008, it’s only undergone a series of small updates to keep it fresh. That makes the Challenger a decade old, and there’s seemingly . Perhaps FCA needs to give Dodge the same cash injection as Alfa to get the new models flowing? The second Dodge on this list isn’t the last you’ll find. The Journey may parade itself as a crossover SUV, but in reality it’s more of a ruggedly styled 7 seater MPV. The Journey serves a purpose, offering plenty of space for 7 occupants and a 3.6-liter V6 engine with enough shunt to keep the family moving at some modicum of pace. But it’s old, and with only one minor update in 2011, it’s gone 7 years without update or replacement, and it’s going on 10 years in production. All-wheel drive, an 8-speed automatic gearbox, and a 381-horsepower, 5.7-liter V8 ensure that the Toyota Land Cruiser is a supreme off-road warrior. 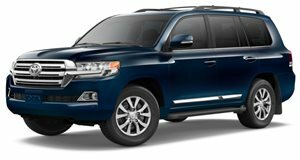 It’s spacious and highly capable, but a look around the cabin reveals the Land Cruiser is severely dated. Though it was released to the market as a 2008 year model, production of the J200 Land Cruiser actually began in September 2007. For many, an aging vehicle like this could be problematic, but somehow it just seems to cement Toyota’s reputation of building vehicles that could seemingly last forever. Every year we get a , with a little more power, a little more refinement, and a little more magic. 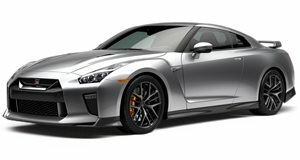 But one thing has remained the same since the R35 GT-R first debuted all the way back in 2007 – the GT-R is a true giant slayer. The way the internet raves on about the GT-R, and the fact that it’s still the benchmark for high performance in most of the motoring world serves as testament to how it shook up the scene when it first arrived. But times have changed, and what was once a worthy champion of the title of Godzilla, is now an aging geriatric in dire need of replacement. 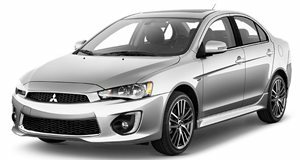 Production officially ended last year, but that hasn’t stopped Mitsubishi from still offering the 2017 Lancer as a new vehicle. When it debuted at the Detroit Motor Show in January 2007 ahead of a March sales release, the Lancer was a pretty decent all-rounder. But more than 11 years on, it’s become tired and staid; and the knowledge that the Evolution performance version is pretty much dead just puts the final nail in the coffin for the Lancer. It’s unlikely to be replaced, but the Lancer still being on sale is proof that sometimes it’s better to retire at the top of your game. Remember the Lancer for what it once was, not what it is now. Alfa Romeo may have received a pretty decent cash injection from FCA, resulting in cars like the Stelvio and Giulia, but in the meantime Maserati has been left to recycle all its current models in an attempt to stay fresh. 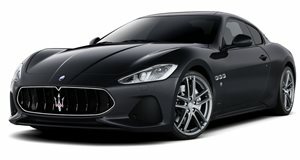 The GranTurismo is Maserati’s oldest model still on sale – a 2+2 seater GT car offering style and an endearing V8 soundtrack. But it’s old and in need of replacement. The 2014 Maserati Alfieri concept was supposed to replace the GranTurismo in 2016, but due to the Levante SUV, the Alfieri’s release has been delayed indefinitely – a move which might yet harm the Maserati brand more than help it. Trading on past successes has served Fiat well of late with the revival of the 124 Spider nameplate, and before that with the resurrection of the Fiat 500 city car. But the current 500 – although updated in 2016 – is at its heart the same as it was when it was first released in July 2007, making it 11 years old. 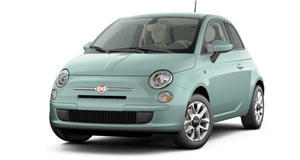 In a segment with limited competition, the 2016 update may have kept it competitive, but one can’t help but feel Fiat is missing the opportunity to cash in on the 500 brand the way BMW did with Mini, just by letting it age as much as they are without replacing it in due course. 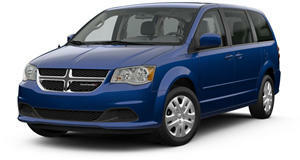 Other Dodge models may have narrowly missed out on this list, but having three here is cause for concern. Admittedly the Chrysler Pacifica has been released to effectively replace the Grand Caravan in the FCA line-up, but the Grand Caravan still lives on to provide a budget-friendly MPV alternative. It’s been updated several times throughout its 11-year lifespan to keep it fresh, but it’s ultimately been around to serve a purpose as a people carrier and rental fleet regular. 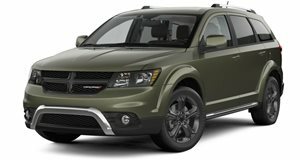 Still, FCA has updated the Grand Caravan to meet current safety standards, indicating that the Grand Caravan may yet live on a few years longer. 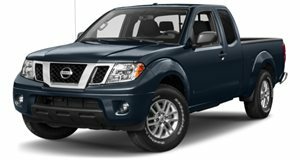 It’s hard to believe that in a world where most manufacturers replace cars entirely every 5 to 7 years that Nissan would still be selling us the 13-year-old Frontier. Even more shocking still is that the rest of the world had a replacement for the Frontier back in 2014. Even minor updates have been few and far between for Nissan’s mid-size pick-up, and it’s been left feeling more than just a little long in the tooth. Of the 10 vehicles listed here, not only is the Frontier the oldest by some margin, but it’s also the model that most desperately needs to be replaced – especially in a market as crazy about pick-ups as the US is.